You flushed the toilet, and the water backed up into your bathtub. You probably have a clogged shower line. Don’t worry too much. 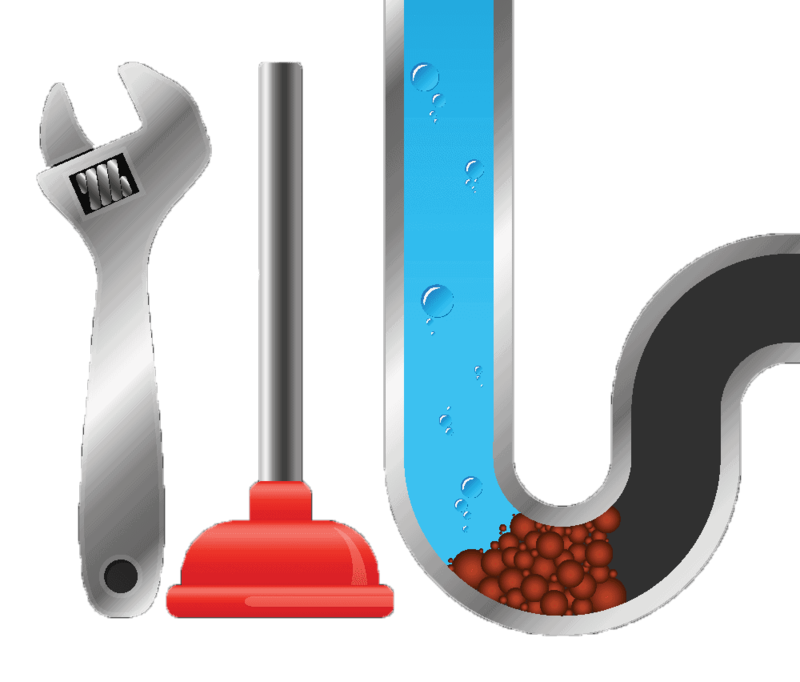 While sewer line clogs are more infrequent and complex than a clogged sink or toilet, they still happen often enough that plumbers are equipped to deal with them quickly. But that doesn’t excuse you from arming yourself with some practical knowledge. Here, we’ll talk about how to identify whether you have a clogged sewer line (versus a clog in your house drains), some of the common reasons a clog occurs, and what you can do to address the problem. The first step is knowing that you have a clogged sewer line. Clogged sewer lines are different from clogged drains in that the main sewer line from your home collects all the waste from all the fixtures in your home. So, if you have a clogged sewer line, then all your drains, at some point, will probably start backing up. You have multiple backed-up drains. A sink backup isn’t a big deal. But an entire bathroom group of fixtures backing up is. 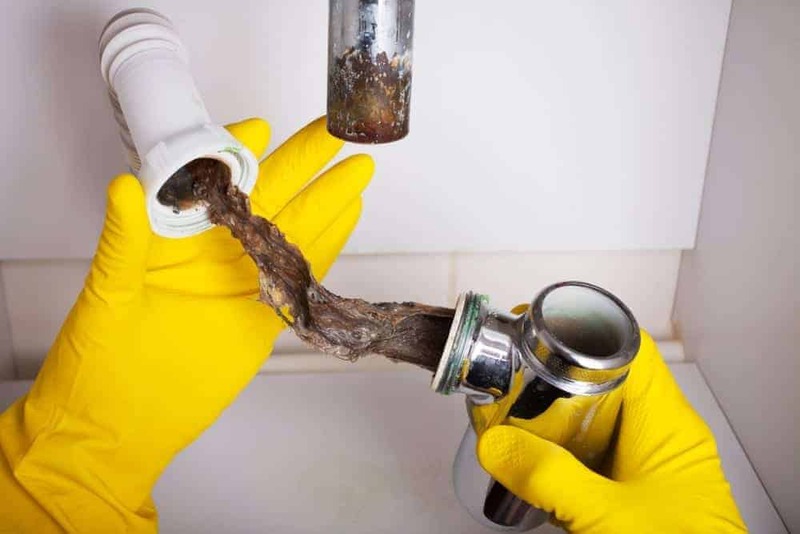 If you have showers, sinks, and toilets backing up all at the same time, then it is most likely the case that there is a block in the sewer line (or, at least, in the main drain trunk in your home). Floor drains are backing up. Any house built recently will typically have floor drains in the basement (or somewhere in a utility closet, if on a concrete slab). If your floor drains start to back up, then it’s almost surely a sign that the sewer is clogged. The sewer cleanouts contain sewage. Every home drain has a “clean out” access point outside the home. This is a piping stack that sticks out of the dirt and allows plumbers to clean out the home sewer line from the outside. If there is standing sewer water in the cleanout, then you have a clogged sewer. There are several causes for sewage lines to back up, some of which are completely (or almost completely) out of your control. Broken pipes can cause a break in the drainage flow, which can also allow dirt and rocks to clog the line. Dust settles naturally over the years, so even a buried sewer line can break after years and years of use. Tree roots can grow into your underground sewer pipes, especially if they already have cracks due to the ground settling. Once roots get into a pipe, they catch everything going through. Over time, this will cause a major clog. Poor hygiene practices, including the use of materials not suitable for flushing or draining, will eventually find their way into your drains. That’s because drains are built and installed to carry human waste and water, and not a lot else. So, if heavy items start to make their way into a drain, over time they will start to collect other debris and potentially start a chain reaction that leads to a sewer backup. And that doesn’t even include the kinds of things we take for granted when we dump them in our drains, like cooking grease, that coat and clog drains over time. Some of these issues are unavoidable without serious preventative care. Whether or not you want to take preventative care is up to you, but long-time homeowners might consider ways to mitigate the impact of the environment on sewer lines. Unfortunately, there isn’t much one can do about a clogged sewer line up to a point. That’s because many of the causes of clogged sewers are beyond the scope of tools you can find at the hardware store. And when you can find some of these tools (such as a jetter or a snake) you then need to know how to use them properly, and where to use them. The truth is that cleaning a sewer clog is much more involved than clearing a clog in one of your fixtures. Of course, if there is structural damage to the drain line, trying to clear it out yourself, even if successful, doesn’t address the underlying issue. We don’t recommend you try to clear a main sewer drain clog on your own. Call the professionals. For the most part, professional plumbers have several tools that they can use to break up a clog. A snake or auger can help break up clogged pipe locations, even if those locations are clogged by roots or other debris. The challenge is finding out where the clog is and finding a space to attack it. This might involve going in through a basement drain line or the outside cleanout. A jetter uses high-pressure water to push a cleaning head through your pipes. Not only does this help with root clogs, but it can also break up pipes closed by grease and other difficult organic material. A partial or complete sewer pipe replacement could be the only option, especially if there is significant damage to the piping. This will typically involve digging up your property with heavy equipment to access the damaged area. Your plumber will decide what solution will work best for a given situation, but there are a few things that might help you understand his decision-making process. First, a plumber should not, and most likely will not, suggest using drain chemicals. For sewer lines, these chemicals are rarely effective, and they run the risk of polluting the surrounding area if there is a leak in the pipe underground. Second, many plumbing companies can use tethered cameras in pipes to follow your drains back to the sewer and locate the cause of the clog easily. This is a huge boost and can ease the time and cost of repair. Finally, make sure that your plumber does a few tests before determining that the sewer is backed up. Typically, it is easy to find out, but some plumbers won’t thoroughly check the area and will then suggest solutions that cost more than you might need to pay. If your sewer has backed up and flooded your house, you may need to call in a professional disaster restoration service to help clean everything up. The best thing to keep in mind is that once you know that the sewer is clogged, then you can talk with your plumber with confidence about the next steps. If your plumber sees that you understand the problem, then he can be much more transparent about what he is doing. If something huge comes up and he must dig, then at least you understand what the problem is. If your sewer line breaks or clogs after years of living in your home, then don’t sweat it. While it isn’t the most entertaining experience, know that it is common, and it even happens in households where the plumbing was taken care of properly.